If you can't see the video and/or want some specific analysis, Pottermore has, well, more. Five Days Til the FB Trailer! We just heard from WB that the "announcement trailer" for “Fantastic Beasts and Where to Find Them” will debut on December 15, 2015; a teaser for the announcement is already live at http://bit.ly/FantasticBeastsAnnouncementTrailerTease. Are you as excited as we are to watch the wizarding world expand before our eyes? 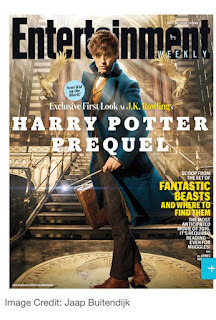 That's Eddie Redmayne as Newt. On the floor is the Seal of the Magical Congress of the United States. And here is the forum to discuss anything and everything related to Fantastic Beasts. Our archives already host dozens of fics inspired by JKR's 2001 Fantastic Beasts schoolbook - and we look forward to seeing what the movie - and ancillary stories - inspire! End at the Palace Theatre in the summer of 2016. Tickets go on sale to the general public on October 30, 2015. 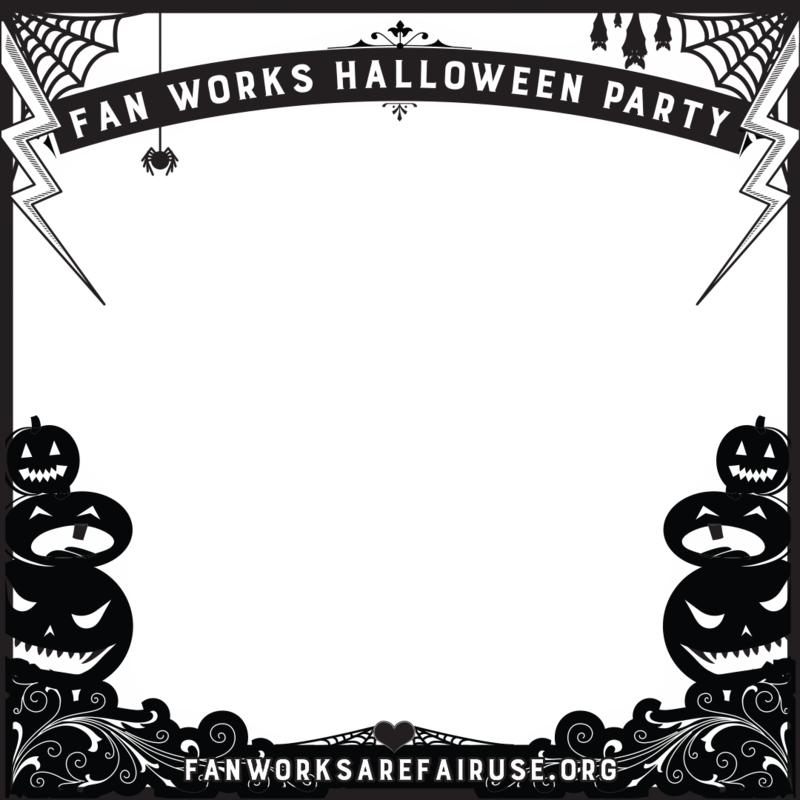 ETA Oct. 28, 2015: Tickets through September 20, 2016 are mostly sold out. Tickets for performances from September 21, 2016 to January 8, 2017 are now on sale if you preregistered for the pre-sale and will be on sale to the general public on October 30, 2015 if any are still available. It was always difficult being Harry Potter and it isn’t much easier now that he is an overworked employee of the Ministry of Magic, a husband and father of three school-age children.While Harry grapples with a past that refuses to stay where it belongs, his youngest son Albus must struggle with the weight of a family legacy he never wanted. As past and present fuse ominously, both father and son learn the uncomfortable truth: sometimes, darkness comes from unexpected places. 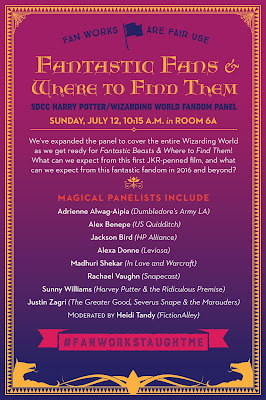 This summer, we've worked with the HP Alliance as they've drafted guidelines that support positive fandom interactions; FictionAlley's been around a long time, and we've seen a lot of discussions over the past fourteen-plus years about issues in and impacting fandomers and fandom; sometimes that gets in the way of creativity and sharing, and sometimes it silences voices, words and insightful contributions. We agree with the idea shared by the HPA this month - We want our community and all others like it to be safe, constructive, positive spaces. - so we've read the guidelines at PositiveFandom; we hope that we've always followed the principles and concepts articulated within those statements, and we know you tell us when we don't. 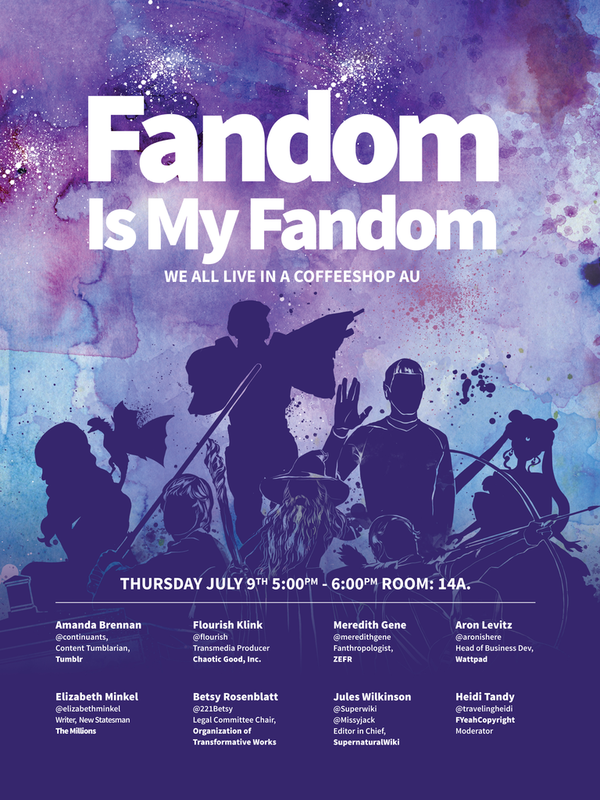 We know that "fandom is home to endless perspectives on and interpretations of a common material," - that concept is why FictionAlley was founded - and if you're interested in signing onto supporting the guidelines too, that would be magical and awesome. One of Buzzfeed's newest listicles covers thirteen Harry Potter-verse stories that they'd like to see on the small screen. 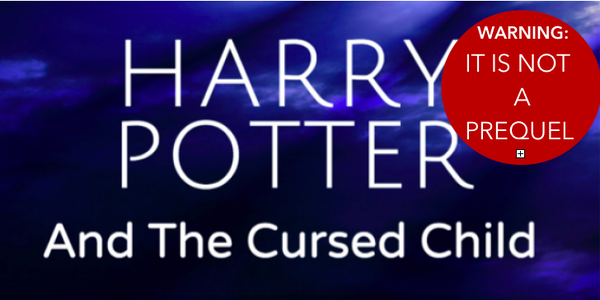 We've read most of the ideas in fanfic form at one time or another, but seeing them listed on Buzzfeed showcases the awesome depth and breadth of stories from and about the Wizarding World and its inhabitants. What would you rather see? A Prisoner Of Azkaban comic written from the perspectives of Sirius Black and Remus Lupin? A History of Magic miniseries, framed like a documentary? A "Welcome to Night Vale"-esque podcast set at the Ministry of Magic? 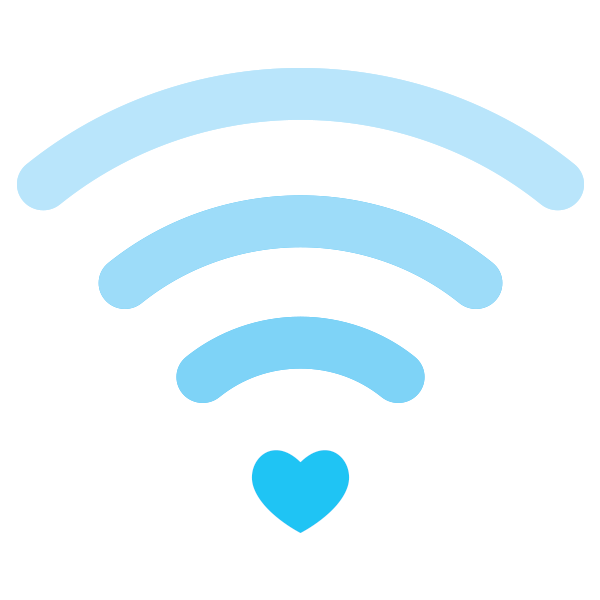 How would your favorite fanfic translate to the small screen - or into a podcast? San Diego Comic Con is next week, and there's a number of events on the schedule for Harry Potter fans. Daniel Radcliffe will be at Nerdist at Petco Park on Saturday afternoon for an on-stage Q&A, and on Sunday, SDCC welcomes the return of the annual Harry Potter Fandom Panel. Also, on Thursday and Friday, Friend of FA friend Hansi Oppenheimer will have her production team at SDCC to interview fandomers for SQUEE!, her forthcoming documentary on fandom - let her know if you’re interested in doing an interview. You can also catch us at Game of Bloggers on Wednesday night at the Dragon Bar; we're joining Crazy4ComicCon and almost a hundred other websites for fun, celebrations of all things geeky, and great conversation. 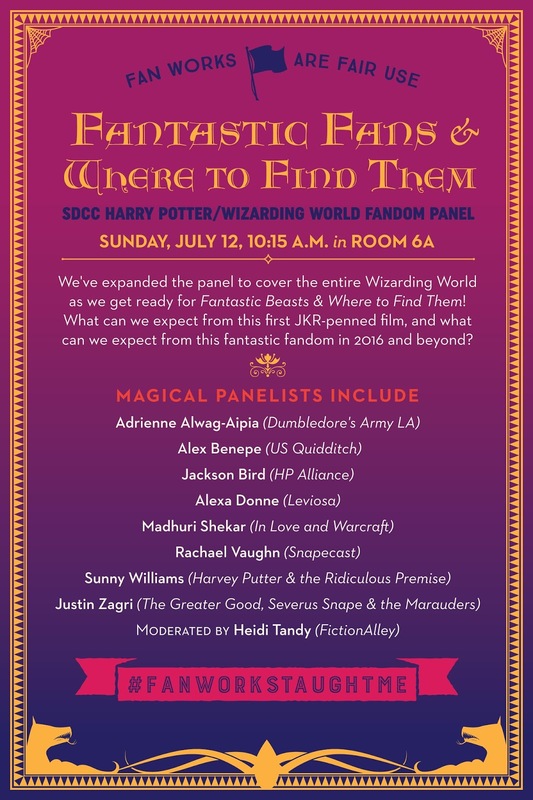 If you're not able to get to San Diego, we'll be tweeting about all things Harry Potter and fandom from July 8 through the 12th! 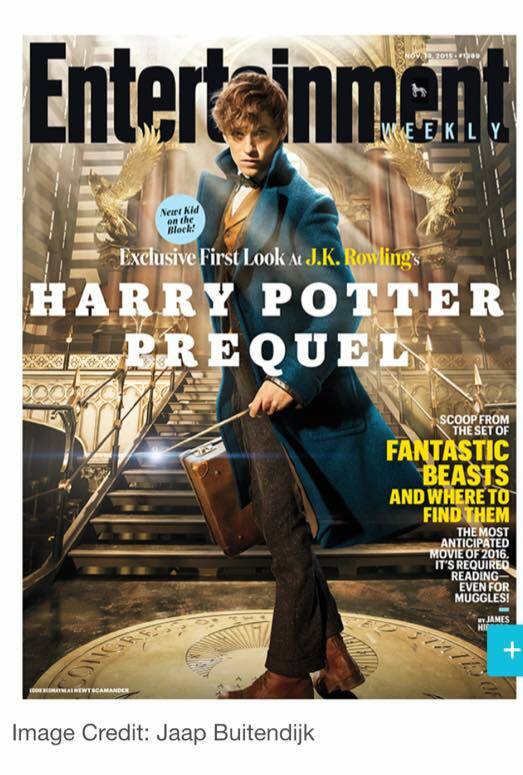 We were already thrilled beyond all imagining because of Fantastic Beasts & Where to Find Them, which will be in movie theaters around the world in November of 2016. And then, JKR surprised and thrilled us with news of a stage play - Harry Potter & the Cursed Child which she notes is "not a prequel". It'll be on stage in London at the Palace Theater next summer; we're definitely planning on going!